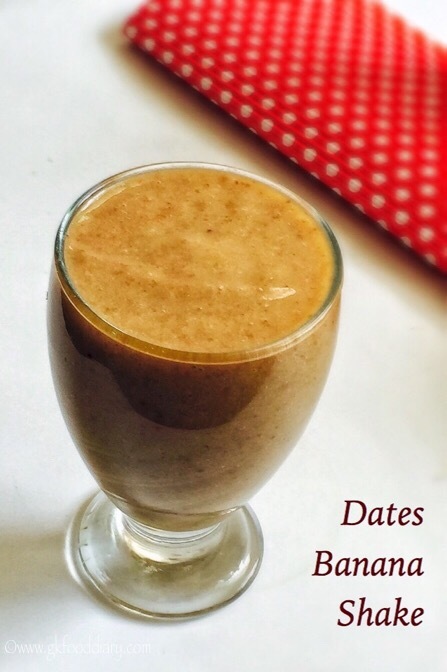 Dates banana milkshake – creamy, healthy, energizing milkshake for babies, toddlers and kids with dates and banana. 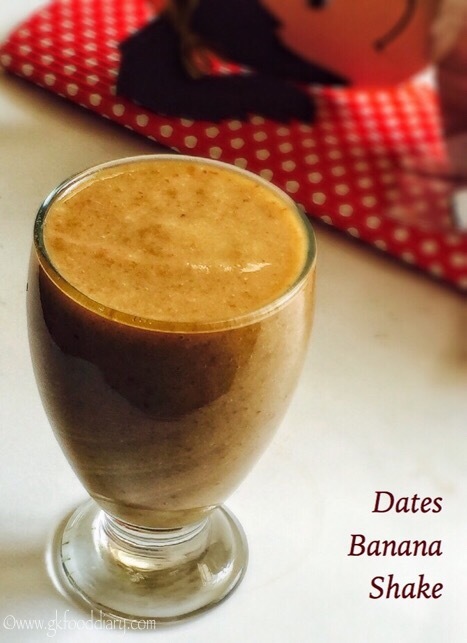 This is one of the incredibly delicious and healthy milkshake for kids with the amazing combination of dates & banana and also it does not need any additional sweetener. 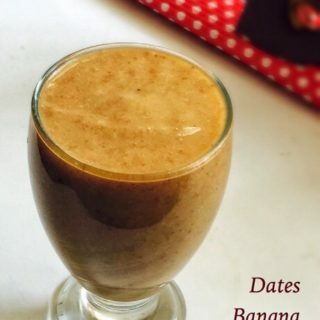 Dates banana milkshake gives instant energy, very filling and it tastes so good that my little one licked the glass and emptied the milkshake in no time . 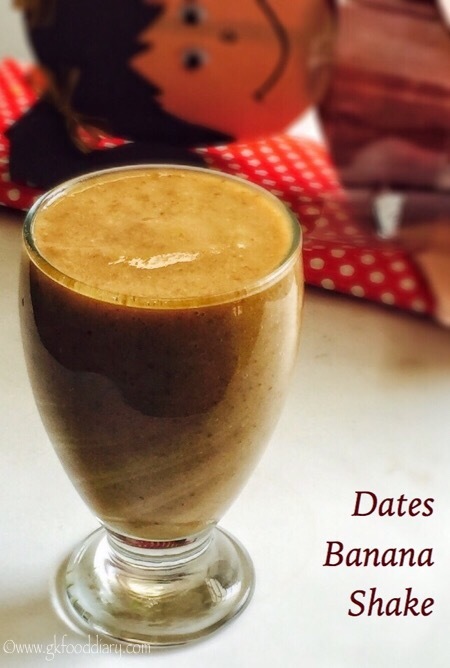 Now Lets get on to check how to make the dates banana milkshake for babies, toddlers and kids. Soak dates and almonds in a warm water for 30 minutes. Peel the skin of almonds and set aside. Peel and slice the bananas, keep it ready. 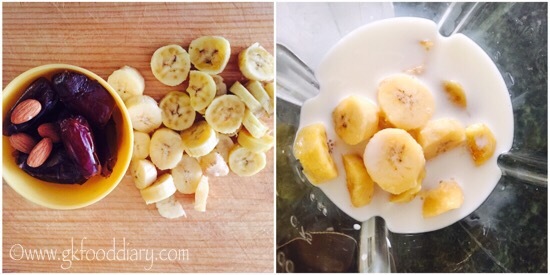 Then take the bananas, dates, peeled almonds and milk in a juicer/blender. Blend everything till smooth. Pour it in glasses and serve! 1. Soak dates and almonds in a warm water for 30 minutes. 1. Peel the skin of almonds and set aside. Peel and slice the bananas, keep it ready. 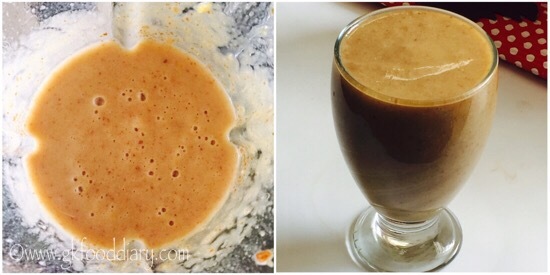 Then take the bananas, dates, peeled almonds and milk in a juicer/blender. 2. Blend everything till smooth. Pour it in glasses and serve! The creamy dates banana milkshake is ready. Serve chilled !!! If using soft dates you can skip soaking them. 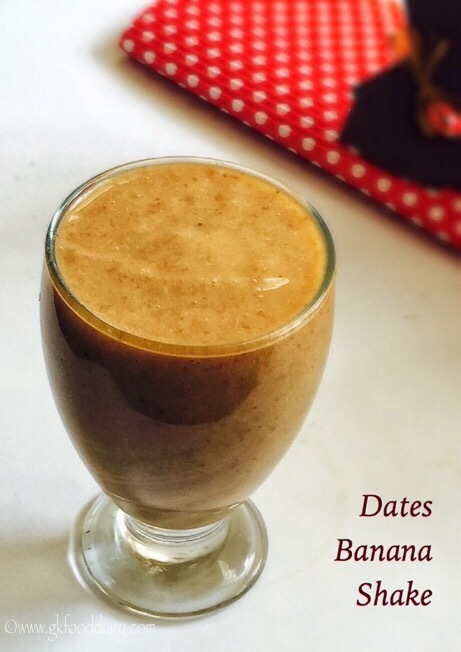 Make sure to introduce dates, banana and cows milk separate before you try this dates banana milkshake. For babies below one year, avoid cows milk. Use breast milk or formula milk instead. 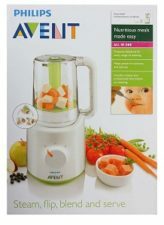 Always remember that breast milk or formula should be major for babies until one year hence prefer juices/smoothies occasionally.